What Japan can learn from Singapore’s vibrant ecosystem? In June 2018, JIAM had the privilege to participate at the Nomura Investment Forum Asia held in Singapore, one of Asia’s major events with over several thousand attendees from across the globe, connecting global investors with more than a hundred major companies in Asia, including Japan, and prominent thought leaders. Both Artificial Intelligence (AI) and FinTech were highlighted as the bigger wave of the 4th industrial revolution in Asia-Pacific technology. Every year, the country also hosts some of the biggest FinTech events such as the Singapore FinTech festival, mainly organized by the Singapore regulator. Singapore was ranked the number one FinTech Hub across 44 cities in a 2017 interim review report led by Deloitte. 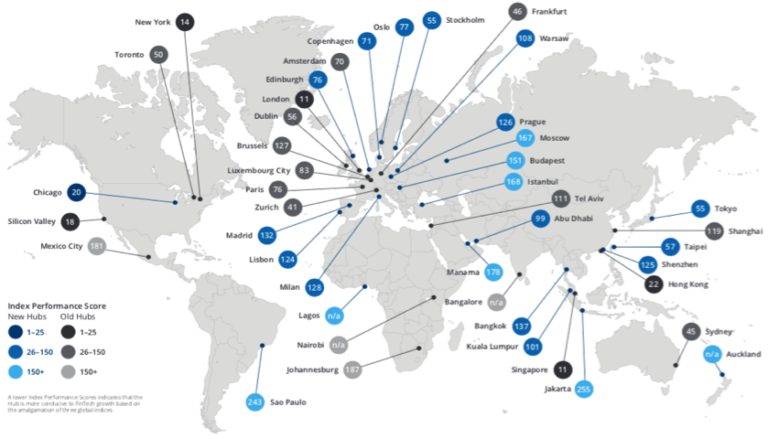 The report assessed FinTech hubs across 44 cities globally, rating them for government support, innovative culture, proximity to expertise and regulatory landscape. Singapore stood up across parameters in terms of innovative culture, foreign startups and proximity to the customer. It is no surprise that Singapore’s prime geographical position at the crossroads of South Asian markets makes it a very attractive destination for business. Besides having English as the main working language and open business policies, the country offers migrants opportunities to establish their businesses in a global environment. It is quickly becoming a massive global tech hub, particularly since 2014, when Prime Minister Lee Hsien Loong made public his plans to make Singapore a “Smart Nation” by 2030, by using technologies to upgrade the economy and the quality of life of its people. However, Singapore is not in a rush to regulate cryptocurrencies, as these are not considered underlying securities or legal tender. They have issued guidance for investment risks in cryptocurrencies, so the public can understand the significant risks they take while investing in cryptocurrencies. On the contrary, Japan’s regulators, often regarded as not flexible, have taken a different approach by promoting fast growth of the cryptocurrency business and actively regulating cryptocurrency exchanges. Despite the Coincheck heist, Japan continues to show significant cryptocurrency adoption. The Japanese Yen accounts for more than 50% of global Bitcoin trades, which makes it an attractive market for foreign capital. Also, major Japanese financial institutions are contributing in the boom of the cryptocurrency sector. The MUFG Financial Group recently successfully conducted cross-border payment using a Thai bank’s blockchain interledger, and plans to conduct a trial of its own cryptocurrency by 2019. Nomura has also announced a venture to establish a custodial solution for digital assets, targeting institutional investment in the cryptocurrency space. After China’s ban on domestic ICOs and cryptocurrency trading last September, there is great potential for Japan to take the lead in the cryptocurrency space. Therefore, demand in Japan is strong for highly skilled engineers to provide better protection for consumers in the cryptocurrency space. Workers in big data and artificial intelligence, rely on software engineers, who are required in the financial industry. However, the culturally rigid labor market in Japan, where mid-career moves are very rare, could result in the shortage of engineers. Cooperation with FinTech associations could be a solution to attract a strong talent pool to Japan. Meanwhile, Japan needs to develop deep engineering capabilities with the government, the private sector and academia working closely together. Distributed ledger interbank payments for more transparency, resiliency and lower cost of financial transaction and processes, known as Project Ubin. Blockchain is definitely a hot topic in Singapore as well as in Japan. MAS is also interested in blockchain to address insurance risk and fund distribution in asset management. Surely, collaboration could be explored in this field through joint innovation projects. Moreover, an MOU has already been signed in March 2017 between the two regulators to facilitate exchanges and nurture global business opportunities. The JIAM FinTech team is currently focusing on blockchain for mutual fund distribution automation, from use case to business adoption. In March 2018, the SFA and FinTech Association of Japan (FAJ) signed a Memorandum of Understanding (MOU) to foster stronger ties and cooperation between the two countries, share knowledge and exchange expertise. The SFA also signed agreements with Singapore Polytechnic to deepen collaboration through active and continuous engagement of polytechnic students, educators and the FinTech industry. Through the Innovation Lab crawls, students can experience how innovative technology is being experimented and applied in financial institutions with their products and processes. Students get the chance to apply new technology concepts to business use cases that are relevant to industry needs. Universities are strongly tied with the private sector. Ranked as one of the top three universities in Asia, the National University of Singapore (NUS), School of Computing is jointly developing with the IBM Center for Blockchain Innovation (ICBI), a module on financial technology focusing on blockchain and distributed ledgers. It intends to equip students with core skills in distributed ledgers from banking to digital currencies to supply chain management. As for JIAM, the FinTech team has already started working with the Singapore FinTech Association (SFA) to identify potential Singapore-based FinTech startups having products that could upgrade Japan’s investment management capabilities. As SFA and JIAM are both non-profit organizations sharing the same aspiration, this is just the start of a collaboration, opening doors to more opportunities for FinTech startups. Engagement of the private sector in the FinTech field goes way beyond research or testing. For example, the program, “Collab” by LumenLab, a disruptive innovation centre for MetLife launched three years ago, aims to solve MetLife’s business challenges and future proofing by matching international startups with the right opportunities within MetLife. Moneytree, the Japanese startup, was one of those given an award during the second edition of the program. This kind of collaboration between the private sector and FinTech should be cultivated in Japan. Although we do have many programs and events awarding FinTechs, if those existing products could be brought on to a more operational and execution level, it could solve many business challenges. Preparing startups for global expansion is important as well. There are private organizations such as Action Community for Entrepreneurship (ACE) supported by the government that provides a connected hub for innovation, enterprise, start up’s and talents to build a dynamic and sustainable startup ecosystem. It supports startups across all stages from ideation, acceleration, and incubation to expansion in the market. It also gives an opportunity to start up’s to find the right investors and VCs through its investor network. 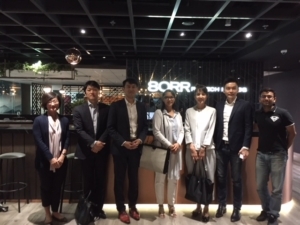 With the coordination of KPMG, JIAM’s sponsor, the JIAM team visited the heart of Singapore’s technology startup ecosystem, including Block 71, 79 and the surroundings, where ACE has its office and ideation centre located. JIAM, KPMG and ACE visiting Block 71, a vibrant entrepreneur enclave home to hundreds of tech startups, VCs and incubators. Japan’s priority is to address its current social imperatives. Therefore, the Tokyo government has a clear roadmap and is continuing its efforts in promoting Tokyo as a global financial city through its accelerator programs and other projects. They have opened “Tokyo One-Stop Business Establishment Center” to assist foreign companies and start up’s wishing to establish business in Japan. Those initiatives are very encouraging. But to attract more international startups in Japan, having organizations like ACE could facilitate their access to the local market while providing mentoring and consultation. It will take some time to embrace English as a business language, but continued efforts providing documentation in English is strongly encouraged. Total investment into FinTech in Singapore was $25.3 million in Q3 of 2017, and it more than tripled to $61.5 million in the latest quarter. Deloitte has been co-investing in futuristic projects to develop intellectual capital and solutions, which can be tested. Deloitte have been active in shaping the Singapore digital ecosystem, partnering with different stakeholders across both public and private sectors. They have assisted MAS to develop the Smart Financial Centre master plan for Singapore in 2016. Some work around the Open API framework has been conducted for faster innovation and integration of new and legacy IT systems within the banking sector. With a scalable and interoperable API and middleware infrastructure, banks, FinTechs and regulators should be able to connect seamlessly. To develop national capabilities, Deloitte partnered with Infocomm Media Development Authority (IMDA) for impact assessment studies on E-invoicing and data sharing platform. Singapore is a host to many tech companies thanks to government support, an innovative culture, proximity to expertise, an attractive tax system, an English-friendly business environment and the regulatory landscape. Disruptive technologies are certainly creating more jobs in Singapore, but it might be challenging to find people with the right skills. Especially, too much funding could result in poor quality of startups not having a mature product. The massive financial support provided by the government could fire back at some point. Discussing with regulators, the private sector, FinTech start-ups and other stakeholders shaping the Singapore FinTech ecosystem drew us to the conclusion that Japan has a different business environment/mindset and regulations, which make some initiatives not realistically implementable. But, there are ways both countries could mutually nurture their FinTech ecosystem through existing bilateral cooperation. MAS, Monitor Deloitte, KPMG, SFA, MetLife, ACE.